Chandler View music club prepped for The King & I, by staying after school Friday, Jan 19th and singing songs and learning about the show. Then we ate an oriental meal catered in by Hy-Vee and had a rest period before we changed into our good clothes. Then onto the bus for the sites of Kaneko’s Light display and then to the Orpheum for a fantastic show! The king was the same man who played the part on Broadway, so we had the best of the best!! 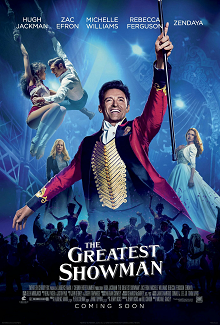 Chandler View chorus was treated to the musical movie, The Greatest Showman. 26 students came to the theater and I’m thinking a couple of the songs would make great chorus songs!! Chandler View had 5 sixth grade singers participate in All-City. Our Music Club presented The Adventures of Lewis and Clark on Friday, February 9th. We had 4 rehearsals after school and put the musical together. As you can see our cast of 30 students had plenty to eat, we played the Lewis & Clark board game, and got fitted for our costumes. These students really did a nice job and became a little family 🙂 The next club time they said they were ready to do another show! Friday, February 23rd found members of the Ecology Club doing science experiments led by GSK Sr. Researcher Sherri Doht. We found the acidity in sour candy and blueberry syrup and learned how water filters work. Our school holds a Wellness Night for students and families. I was in the Plinko room and it was interesting to see Dads and sons try to get the little ball all the way to top of the maze! The room they are looking into is constantly changing patterns. It has a glass/mirror floor and we weren’t allowed to go in as someone had dropped their cell phone and broke the floor! So they were repairing it! One exhibit is controlled from the Netherlands! Really a cool exhibit! On Saturday, March 3 I attended a 5 hour workshop on citizen science. There are many projects out there waiting for the average citizen to gather data on. You can bet we’ll be providing them with some data soon! How could you go wrong listening to this outstanding chorus? They performed at First Plymouth Church. Over spring break I went out to Branched Oak Lake north of Lincoln and saw a million snow geese and can you see the 10 bald eagles?? Wow! Leanne and I went out to eat The Grey Plume and then to an Irish concert at The Holland. Great! Someone took one of our bluebird boxes, pole and all 🙁 So these two boys helped me put up another box for those beautiful birds! I went to a RegeNErate Nebraska conference. The ladies were talking about what they do on their farms and how they really don’t want to be any bigger – they are suggesting more people do what they are doing. I agree! Chandler View had their own night at the Children’s Museum in Omaha so I took my mentee and now his brother thinks he must go too 🙂 That’s fine…the more the merrier! So we start the third installment of our community garden. The beds are in, the water lines are in and now we begin to work on the fence. It’s great to have parents who can help. Members of the Ecology Club helped carry gates and posts up to the community garden. These kids were panting when they got finished, but felt good about accomplishing a big task and being able to help. Thank goodness for another dad! These Ecology Club students and our strong armed dad, put the gates up for the community garden. For some reason I’m on the emailing list of a bunch of architects and they have gatherings from time to time to look at new LEED standard buildings. This is the International Training Center for Peter Kiewit! Wow! Very nice…one of them was saying just the chairs were probably 3000 dollars a piece! After the gates got put in, it was time to have some more dads come and pound in 21 fence posts! A neighborhood household had put hundreds of pavers out with a sign, “Free take as many as you need!” So I loaded up my trunk and the students helped put them down around our new hydrants in the community garden. On Friday, April 13th, a family, another teacher, and the custodial staff plus community service youth helped put up the wire fence. It didn’t take too long, although there are many cosmetic touch-ups that need to occur yet – great jobs for our Ecology Club students, and the Chandler View Community Garden fence was standing in all its glory! So then it was time to add chicken wire around the inside of the fence and have an Ecology Club work session to get a few things planted and take out the winter kill from our landscaping beds. I planted 5 plants of rhubarb and 10 or asparagus in our garden, since we have a little more room! I attended the Opera Omaha’s debut Proving Up opera. It was certainly different! The “stage” looked like a fashion show walkway, but it was filled with dirt! A rack held 6 guitars and the orchestra was playing harmonicas as well. Very different! I attended a workshop given by the Reggio Emilia Childhood guru Carlina Rinaldi at Innovation Campus at UNL. Her Italian accent was so thick it was hard for me to understand her. I was a “judge” for the NE Science Olympiad. Thank goodness a grad student was there to grade the tests! I was a proctor and had fun with the students. It was good to see them excel in academic mode! We have a cecropia moth cocoon hanging on one of the trees on the corner of our school. The teachers and students have been very interested in it. I hope it makes it and that we are around to watch it spread its wings! The Kansas smoke was terrible this spring! We had to stay indoors at school for recess because of it. I’ve been very pleased with the Nebraska Box from LoneTree Foods. It’s a CSA and the produce is excellent! I like the shiitake mushrooms from Grand Island! On the last day of April we took the Music Club to our Spring Sing with the residents of Walnut Creek Retirement Center. It’s great that we could just walk across the street and be there! The residents had made May Day baskets for the kids. Anytime there is candy, kids are delighted!! But they also liked talking to the residents. I had to smile as I heard one boy commenting on the lady’s shoes and how he liked them. I had prepped the kids to talk with the residents and that was one of the many examples I used! Ha – sometimes they listen! Of course there was pizza afterwards! So when Music Club ended for the year I asked them what they had enjoyed the most. Spring Sing, going to see The King & I, and putting on their own musical! Then they started to say they wanted to be in the musical next year! Yes! The musical bug has bitten! It’s true! April showers bring May flowers, especially if your Ecology Club members planted 500 bulbs in the fall 🙂 What an amazing show just in time for our school carnival! My mentee’s brother has learned that being with Miss Brown can be fun, especially when he’ll be able to go to the carnival if he helps Miss Brown 🙂 It was a great night with food trucks outside and homemade carnival games inside and a few bounce houses in the gym. Lots of wonderful people work at Chandler View, and sometimes they get awards for it! Our principal, Greg Eversoll, was awarded the Spirit of Collaboration award from the Omaha Education Association at the Stockyards ballroom. I was proud and happy to be there to support him! I’ve been blessed to have his leadership!! The Travel Club and Ecology Club members were invited to a picnic at Haworth Park in Bellevue. As you can see it’s right beside the Missouri River. It was fun to see the kids engaging with nature and one girl even found a mutant dandelion to show me! I was disappointed not more could attend, but as you can see, those who did had a great time! The end of the school year is always problematic for me as the risers are up for 6th grade graduation and then I try to find interesting things for the students to do in a much smaller room! This year the older students got to use a website entitled musiclab by Chrome. They loved it!! Yea! One morning the new superintendent, Dr. Cheryl Logan, walked into my room and observed! Wow! How cool is that?? Wicked is a show that will never grow old for me! As you can see the love birds were able to come too! Harriet had a farm to fork meal entitled Savor the Bohemian Alps and I was asked to play polkas and waltzes. Then I helped serve the plated meal. It was a great event and wonderful weather helped make it perfect! The first week I had 4th and 5th graders and we went outside and pulled weeds and picked strawberries. It’s amazing what these little hands can do and they are so proud of themselves afterwards! I’m assigned the 1st grade on our Wednesday travel days. Our first trip was to Pump It Up! and as you can see they enjoyed themselves immensely! Our poor bluebirds 1st brood was overtaken by a dumb starling:( I wasn’t going to let a Blue Jay stick its egg in their second brood! And then I was busy measuring and marking where our new garden shed was going to be built! June 8 our B&B Book Club went to dinner at the Grey Plume and then to hear the Omaha Symphony’s rendition of Beethoven’s 9th! Splendid!! June 9th was book club and it’s always fun to sit at the table with a bunch of smart minds! This is our 3rd book entitled Unstuck. Great read!! The second week of camp I had K and one 1st grade class. We learned about bird feathers, beaks, JJ Audubon, and backyard bird coloration and songs. Plus a song about Woodsy Owl and a poem about an eagle. Fun games reinforced their learning. Then it was off to the Children’s Museum! Such a whirlwind of activity. I enjoyed the section on life in China! Then the big day came when our Tuff shed got built and I had the children help me move things inside of it. I had 15 keys made so all gardeners can have access. So now they have a garden plot, water, and tools to use. Fabulous 🙂 The Papio-Missouri NRD’s grant was very helpful to our purchase of the 6X8 shed. Our tulips are long gone, but the lilies we planted this fall are making some great color in our front bed! Our 3rd week of travel took us to the water treatment plant north of Florence. They take the water right out of the Missouri river and then through several tanks with different chemicals. It was a cold, wet day but the teachers still decided to go on the trolley. Then we went to the South Omaha Library. The librarian had a cute and clever scavenger hunt for the kids to find literary characters in the stacks that corresponded with letters for a secret message. Of course lunch is always a good thing too! I had the chance to attend a LEED rainwater basin workshop in Wood River at the Derr House for two days! It was wonderful and I still can’t believe I was out in the prairie and didn’t get chigger or ticks on me! Lucky! We had an array of speakers come in and talk and we had lots of materials given to us as well. When I returned to Chandler View I found this on my desk…so now I can work for another hundred years and be happy! The 3rd graders had been working on lyrics to our musical all camp long and on the last day we presented to all the camp and parents. Our theme this year was ROAR GREAT, and so entitled was our musical I put together. July is my time to recover! Tendinitis, mosquito bites and sinus surgery. Attended a Nature Explore conference at the Lied Lodge in Nebraska City. The director is eyeing Chandler View for a Nature Explore outdoor classroom! Was happy to see Leanne’s county fair exhibits and all the work youngsters are doing! Took a morning and went sight-seeing to the Sunken Gardens and our capital. Very nice. And here are some pictures from our community garden. Our B&B Book Club used PBS’s 100 Best Books list and each member chose a title to report to the group in 7 minutes. The presentations were as varied as our members are, and it was interesting to hear about the different books. This picture is one our members playing her newly acquired auto harp. I like the composition of the picture and am waiting to hear her play our B&B book club song next meeting! This Zulu gourd was carried off the property by someone in the community. They usually weigh over 30 pounds! Classes began on the 15th and we started in centers the first week! This is what the first day of 5th grade chorus looked like. The whole grade level comes! So we picked the Zulu gourds and I had fun watching the kids carrying 43, 34, and 15 pounds of gourds out of the garden and to the building. We had a weight guessing contest and the classrooms that guessed the correct weight got to adopt the gourds! I hope they will let me have a few seeds for next year and that they might want to share the gourds with the birds at our bird feeders! Opera Outdoors! gave a free concert at Midtown Crossing and I took a bus load of kids to go experience the kid activities and see/hear the performers. Ecology Club’s project is to get the track dedication garden back into beauty! One OPS high school has a plant rescue project, where they go get plants that greenhouses can’t sell, and we got some of those plants plus some from a teacher’s garden and put them in the rock garden. It needs mulching yet, but is looking better. The club goes out and pulls weeds during club time, and must learn what a weed is! Saturday, September 8, seventeen Ecology Club members went to World O! Water at Chalco Hills Recreation Area. Many booths set up for the children to learn about organizations and how to keep our water clean. While waiting to get on the bus, we had a pelican fly over! It took us a couple mornings, but we got cardboard laid down and mulch to cover it for our track dedication garden. The Ecology Club members worked well together and were proud of their finished project!! I am so fortunate to get to work with Ian. What a delightful man and good friend. He comes to Chandler View once a week and teaches 3 classes and we team Chorus classes. Occasionally, I teach music! Here are the 6th graders being composers and performers as they play and write rhythms. The students indicated they liked the activity a lot because they were teaching each other! Yea! And one day while learning about AB form, the 5th graders were nailing the folk dance, and when that happens, out comes the camera!! Friend, Sherri Doht saved me a seat at a Willa Cather 100 years of My Antonia block party. My mentee this year is Dylan. He’s a 5th grader and loves to talk and learn. We are reading the original Alladin together – yes, vocabulary way above a 5th grade level, but he handles it like a pro. We went to Beethoven’s 5th together to get the year off to a good start! Ecology Club planted 120 crocus bulbs by our parking lot and mailbox area. They also had 2 garden parties to clean up the community garden plots. Three students stayed after one night to cut seed heads off the zinnias and take them to the compost pile. You can tell we never have any fun and do only work!! I put them under a fan for a weekend and we should have plenty of zinnia seed for next year! And because you need to “make hay when the sun shines Nellie” the Travel club members got to plant 200 more tulip bulbs! This is Mrs Talty. She is a new to our building, 5th grade teacher who has volunteered to help with Ecology Club and I am so glad she did! She is wonderful. We took our selfie to send to our Ag Pen Pal out in Cozad. This project is sponsored by Farm Bureau. Our students have LOTS to learn about the daily life of a farmer!! The manor dad lives in has a day care as well, and seemingly some clever care givers:) Cute! Life at school is fun! This 2nd grade teacher loves word plays. I thought this one was pretty good! And our mornings can be very beautiful!! Hopefully the Ecology Club will be running a booth at Nature Palooza. Our booth will be a bird migration game and we had to play it so we know how to help other players. We learned that over 4 billion birds fly south for the winter and only 3.2 billion make it back each season. So we found out that running into power lines, glass buildings, getting caught in light pollution, being eaten by a cat, being banded by scientists, and dying from disease is what makes migrating so hard! After 3+ inches of rain, the clouds let up and the community gardeners were able to clear off the beds on Friday, October 12. Our principal, Mr. Eversoll, grilled hamburgers for us and prepared the whole meal by himself! What a great guy:) From start to finish, it was a successful season! The full moon came to visit Chandler View! There were lots of super men and women for Red Ribbon week as we were super heroes not doing drugs! The Ecology Club was making their sign for their booth: Bird Migration Game, as they went to Horning State tree farm on Oct 27th. A great weather day and the kids learned a lot with the vendors that were there. As you can see the weather was perfect and the kids had fun running their booth, and looking around. We got 2 free trees: Burr Oak, and Shumard Oak. It was a beautiful day to spend outside and go for a nature hike as well! We are hoping to go again for a hike when there’s snow on the ground, so we can visit the forest through the seasons! The B&B book club meets at Pine Crest B&B. Our book for October was Creating the Schools our Children Need by researcher Dylan Wiliam. Great conversation, and afterward a meet and greet session for Erica Kobza: It’s a piece of cake to write in Erica! She’s running for the Valparaiso town board. These 3 Ecology Club members helped me plant our two free trees from the forest festival. I’m pretty sure the boy in blue could probably do this by himself already. He’s very handy and has been helping me for a few years now! Chandler View has a unique mentoring program. Teachers agree to see kids once a week because they know it’s the right thing to do for the student. My mentee is Dylan and at our Mentor/Mentee party we painted canvases and Dylan had a blast on the inflatable obstacle course! This is Father Flanagan’s tomb. The windows have lots of green because he was from Ireland. These pictures are from Father Flanagan’s house. When he first bought the farm for the boys, he lived in an old garage shed! The house is beautiful and this desk of inlaid wooden pieces was made by the boys for Father Flanagan. Babe Ruth and Lou Gehrig came to visit Boys Town and our guide said Father Flanagan and the 2 baseball players got on very well together! These sculptures are carved from Linden wood! Mrs Dowd, from NYC, heard about Boys Town in the 1940s and asked how she could help. Father Flanagan said they could use a church and so this beautiful church, named the Dowd Chapel was built with her donation money! The students could pay a penny to buy a used stamp from anywhere in the world. Since travel club writes postcards around the world, it was a good way to see all the various stamps. They each got a postcard with a candy attached as we left. This ball of stamps was begun on a golf ball. It weighs 600 pounds! Father Flanagan made sure the boys always had something to do! 2nd graders think being one of the three wise men is pretty cool! After school clubs – – We are claiming to be a 4-H club! We are building landmarks of the world. This was our first attempt. It’s the Golden Gate Bridge! The Nebraska Theater Caravan puts on A Christmas Carol each fall before their US tour. The proceeds go to Heartland Food Bank. Some of our Children’s Classics kids came to watch their wonderful production. For our professional development before Thanksgiving, Greg took us to experience escape rooms. Ours was of the American Revolution. As you can see, we were successful with plenty of time left 🙂 You can ask the others about a paper clip and thinking outside the box!! The Omaha Symphony is quite good and I love to go when they play the background music for movies! You’ve heard of Tom Turkey, well this is Susie Squash! She will make 4 pies as I placed it in baggies and froze it. Travel Club took the trip north to see the Mormon Visitation Center complete with their gingerbread house display. They had a scavenger hunt for the students and our guides told them about the Mormon history. Ecology Club members did a scavenger hunt on campus to find pieces of paper. Each paper had a word and then they brought them inside to make sentences to find out what we were going to be doing in the future! They are learning that playing outside in the cold can be fun. Guess who’s going to be a Fairbury Jeff? Emily will be the Family and Consumer Science teacher starting next fall! This little guy has the best singing voice, but hardly ever uses it, let alone smiles – – so this picture warms my heart! Leanne and Emily put this puzzle of Broadway musicals together for me. It’s already hanging in my room and the kids love to look at it! Harriet’s Christmas party is always a royal treat. Lots of desserts, and then carols. Our principal and a few teachers went to Scholastic’s warehouse book sale. We were able to buy books for all 700 of our students! What a fun experience to put books in your cart and not personally pay for them! I’ve never seen so many pointers in my life! The first grade teacher cut and pasted all these gingerbread boys/girls in a snap! Brava Mrs. Ahlers!! Then you can see our art teacher, Mrs. Gurnicz, scrambled up the ladder and hung an anise star and 2 spice jars. Great team work! Our 6th grade chorus looks right nice with those Christmas spices, wouldn’t you say? The 5th & 6th graders were doing their final rehearsing. They were much more dressed up for the concert! This brother and sister duet was fun to work with and as you can hear, they have wonderful voices! The program didn’t flow in this order, but this is the way I’ve uploaded them. Ian Rose, and Laurie Voss make the Christmas concert run smoothly! Such wonderful help and good friends too! This almost looks like the “shy crown,” whether it was or not, it was really cool to stand there and look up! Hannah shows the students how many needles are growing together. During the last week of school, Farm Bureau, offered the option to log on for a virtual tour of a hog barn in Bellwood, NE. Ecology Club members came to the music room and we were able to ask questions of the hog farmers. Another Farm Bureau sponsored activity is the Ag pen pal project. Our farmer lives out by Cozad and here the students are writing their letters to the farmer. It’s been a very good exchange so far and hopefully the students have learned just a bit about being on the farm! This group of students is celebrating the last club time before Christmas break. They are putting together world landmark model buildings. This group will hopefully become our 4-H club. On the last day of school before Christmas break, we took the 5th and 6th grade chorus to Walnut Creek Retirement Center to sing for them and with them. It’s always great to see the kids relate to the adults and one resident even baked us sugar cookies! A splendid ending to our 1st semester.